Just days before the 399th anniversary of the convening of the first representative legislative assembly in English North America, 2019 Commemoration partner Jamestown Rediscovery announced its archeologists found the remains of an individual believed to be Governor Sir George Yeardley. 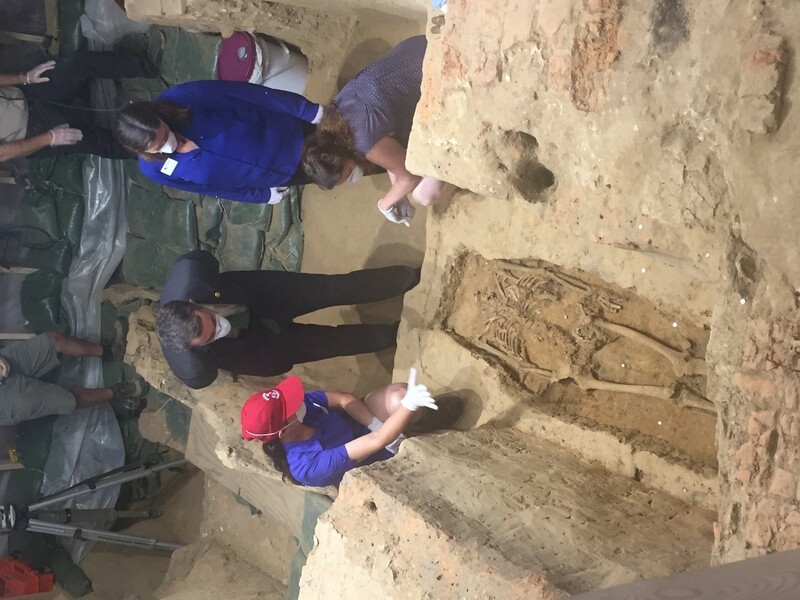 Virginia Governor Ralph Northam and 2019 Commemoration Executive Director Kathy Spangler visited the Jamestown archeological site to view remains believed to be of one of Virginia’s first governors. This discovery is significant to the 2019 Commemoration as Governor Yeardley presided over the first representative legislative assembly in English North America in 1619, which continues today as Virginia’s General Assembly. The first legislative assembly is one of the 1619 pivotal events that American Evolution will be commemorating in 2019 and was the basis for the democratic government of the United States of America. The meeting of the first General Assembly took place from July 30 through August 4, 1619, in the church in Jamestown. It was comprised of two male settlers representing each of the 11 major settlement areas in Virginia. This new form of government divided political and judicial power between the governor, a council appointed by the Virginia Company of London, and the new General Assembly. The General Assembly also acted as a high court of justice and heard complaints of a judicial nature. 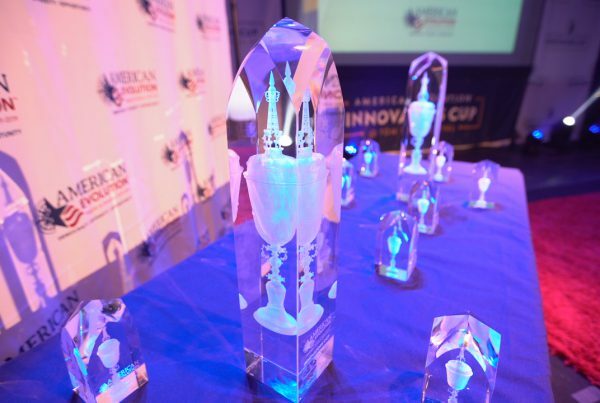 Democracy is a central theme in American Evolution events, scholarship and education programs occurring over the next 18 months. On July 30, 2019, the 2019 Commemoration, American Evolution will host the Commemorative Session of the First Representative Legislative Assembly in Jamestown, Va. The 400th anniversary commemorative event will convene members of Virginia’s General Assembly and other special guests. 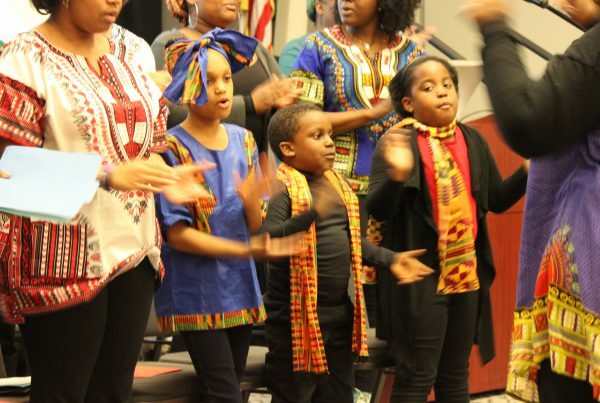 A full schedule of programming can be found here. In November 2016, the Jamestown Rediscovery archaeologists began excavating the site of a 1617 church in Historic Jamestowne in Virginia’s Historic Triangle. After a year of the dig, they discovered what looked like a grave shaft in the church’s middle aisle, just in front of the chancel step to the altar, where it intersects with the choir. The location would have been reserved for a prestigious person. Yeardley, who was governor at the time of his death in 1627, was one of the most notable people to die while the 1617 church was in use. In July 2018, a skeleton was found in almost perfect condition. But one thing was missing- the skull. Fortunately, the archaeologists found 10 teeth in the grave, which will help the experts learn about the diet and health of the human they belonged to. According to Jamestown Rediscovery, a preliminary forensic analysis in the field indicates that the individual is a male around 40 years of age, which is in line with what is known about Governor Yeardley. 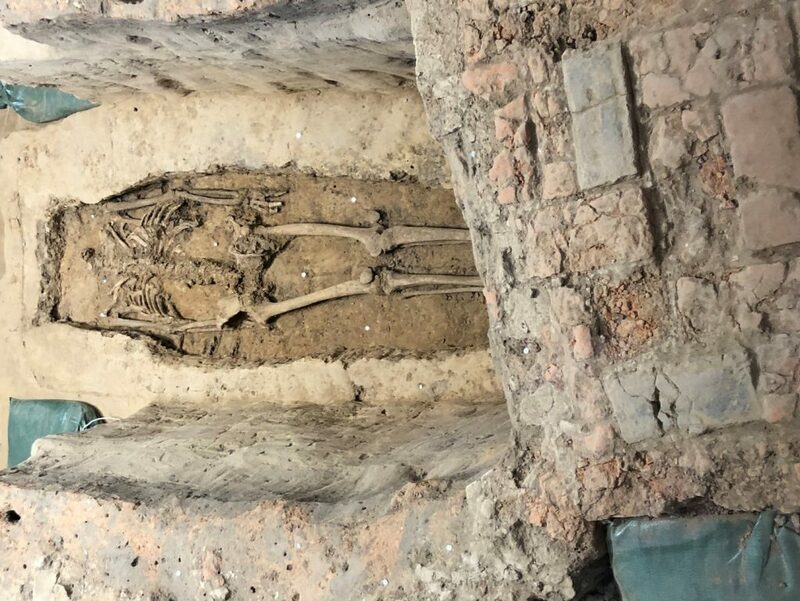 Jamestown Rediscovery is working with a world-class team of archaeologists, geneticists and forensic scientists who have been assembled to identify the individual. Additional information about the archeological project can be found at historicjamestowne.org. 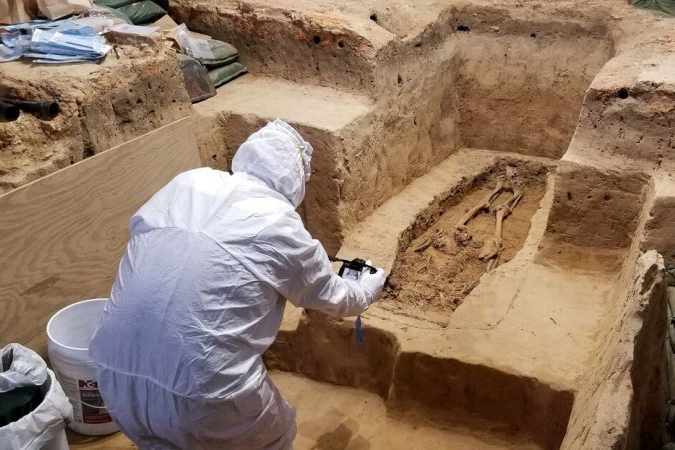 The Washington Post, Archaeologists have found the remains of one of Jamestown’s early settlers. Now they have to prove he is who they think he is.